The purpose of this reading group is to explore the anthropological questions regarding the origins of money as well as the situated changes of morality and debt across different traditions of thought in historical perspective. This will pave the way to a critical discussion about what money is and to situate ourselves in the present in order find creative strategies of changing the current moral economies of debt/guilt that tie capitalism together. 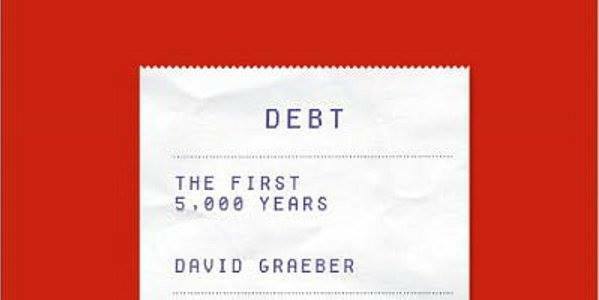 We will do this through a reading of David Graeber’s book, Debt: The First 5000 Years, which explores these topics at length. Through bi-weekly meetings we shall dwell on each of the 12 chapters and critically assess the claims made in the book. We will start the first chapters of the book at our friends in Supermarkt. On the first meeting we will go through the first chapter titled „On the Experience of Moral Confusion“ and talk about the plan for the next weeks. The idea is to rotate around different spaces in the city, who are interested in hosting us and in sharing together the ideas in the book and beyond. We hope to rely on the community for this so If you know any place that might be interested in hosting us, please contact us so we can get in touch. The discussion will be held in English but participants are encouraged to read this book in any language they like. Entry is of course free. The reading group will be hosted by Julio Linares, an economic anthropologist from Guatemala. He works as social outreach for the Basic Income Earth Network (www.basicincome.org) and is preparing the pilot program for Circles UBI this summer in Berlin (www.joincircles.net). He is a student of David Graeber.